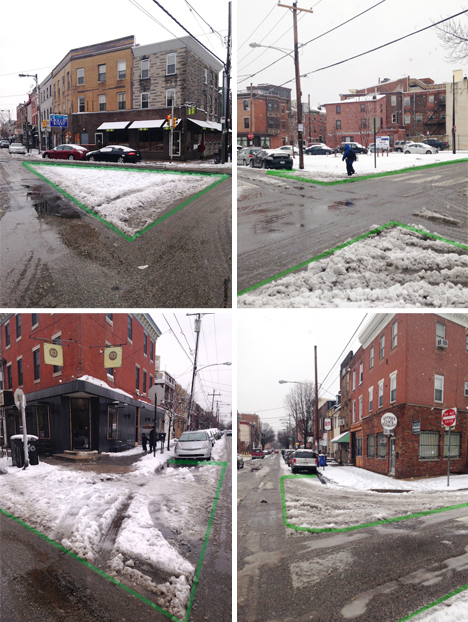 Ingenious and contagious, the idea is spreading: after it snows, document where cars do not go, then use that to understand where sidewalks and other public areas can be expanded without any spatial cost to vehicular commuters. 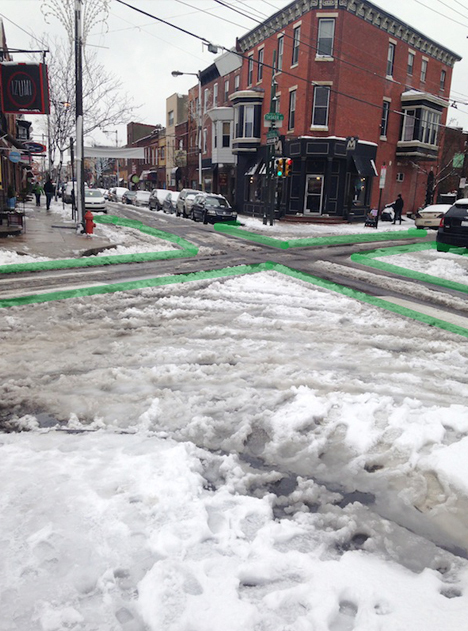 Jon Geeting of This Old City shows how these so-called ‘sneckdowns’ can work after a snowstorm in Philadelphia. Starting with simple phone-camera photographs, he added colored-line highlights that illustrate actual traffic patterns. 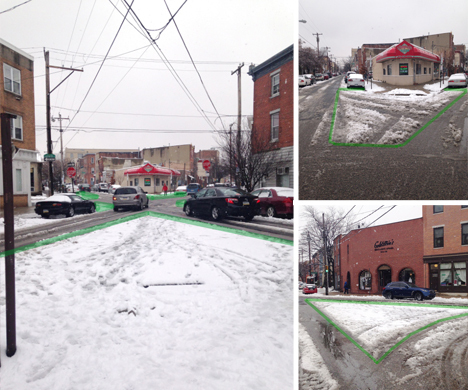 These captures implicitly suggest ways to eliminate car parking, introduce pedestrian plazas and potentially much more. Bypassing cumbersome urban planning studies, this approach is a free, easy and highly visual way for people to first understand and then communicate possibilities for future usage to local politicians and business owners. Simple cell phone photos provide the backdrop, allowing activist citizens to argue for everything from sidewalk and green space extensions to the creation of entire urban islands, outdoor seating for restaurants or other civic functions … all in places where, as the snow shows, no one generally drives anyway. 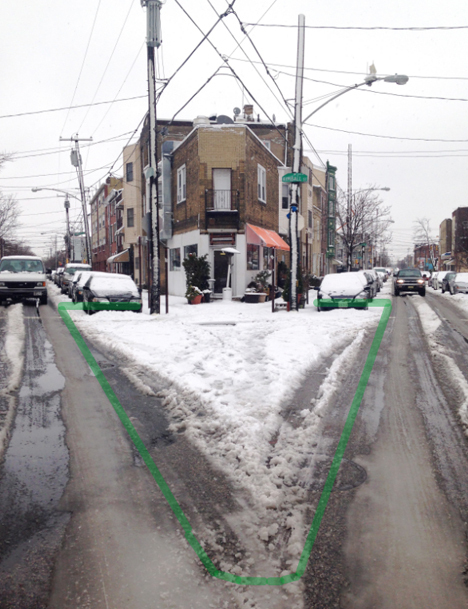 While the phrase and phenomena are gaining all kinds of fresh traction, the idea is not new to those in the know – Street Lessons from a Blizzard (above) by Streetfilms talked about the same process a few years back, and others have discussed it before as well. With the rise of Instagram and Twitter, however, more and more ordinary citizens are snapping shots locally, tagging them and spreading the word.